As a loyal fan, I have been using iPhones for 5 years, never thinking about to look at other brands. I fell in love with Apple products right after I received my first iPhone in 2010 as a gift from my husband. It was also in the same year, I learned about Foxconn (Apple’s most important manufacturing supplier) Suicide on Sina Weibo (China equivalent of Facebook). A spate of worker suicides highlighted the conditions at its supply chain led to the worst public relations scandal in Apple’s history. In 2010, from January to June, 18 Foxconn employees attempted suicide with 14 deaths at the Foxconn City industrial park in Shenzhen, China. Their ages were between17 and 25. 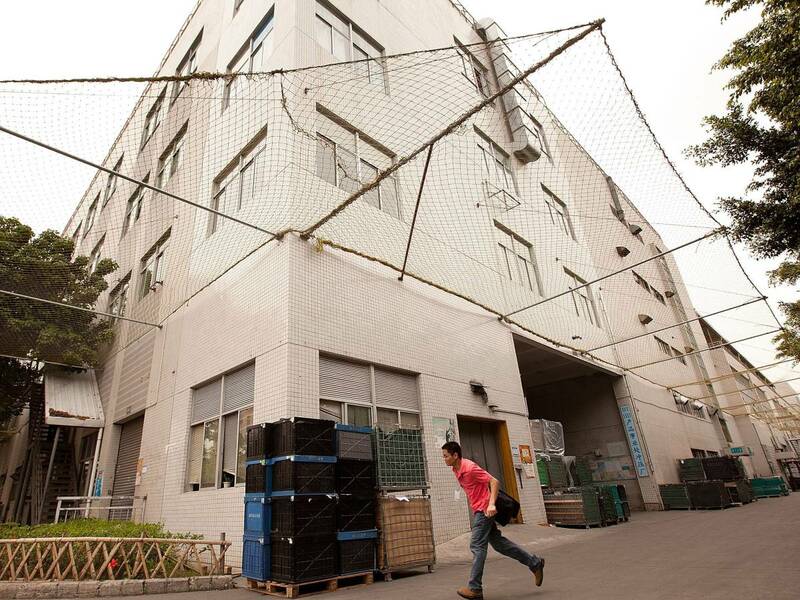 The way they chose to end their lives were jumping from their factory dorms. The company was pilloried in the media over allegations of poor working conditions and bad management, including long hours, crowed dorms, involuntary labor, record falsifications, improper disposal of hazardous waste, under-age worker. Another brand name “Apple” was being mentioned in every article and sometimes was put on the headline purposefully to drive attention. Foxconn was described as “Apple’s sweatshop” in massive social media posts. No matter that Apple wasn’t the only company that hired Foxconn to build its products, success made it a target. In my memory, during the first half year of 2010, the discussion of Foxconn suicide kept ranking in top 10 hot topic on Sina Weibo. 27,000,000 results showed on Google search. We were not satisfied with the limited information we read from mainstream media anymore. We went to social media to dig out more inside stories and we expected to find more first-hand news by informant. Different kinds of negative topics flooded on social media platforms, for example “Suicide or Murder”, “There must be # death following”, and “Workers are being abused by Foxconn/Apple”. “Social media is really good at creating confusions. Web users more tend to believe what they are willing to believe and pay more attention on negative things. “Said Denis Liu (Chief Editor of Corporate Social Responsibility We Can, also known as an expert on supply chain management). In his online magazine, Denis wrote and edited several influential articles on supply chain management. When he was invited to give his comments on this article, he highlighted that social media played partial role in this event and there were multiple causes and effects led to its result. As a responsible company, far back in 2005, Apple already published its Code of Conduct, which demands “that working conditions in Apple’s supply chain are safe, that workers are treated with respect and dignity, and that manufacturing processes are environmentally responsible.”(In China, Human costs are built into an Ipad, Charles Duhigg and David Barboza, Jan 25, 2012, The New York Times). But after Foxconn suicides occurred, external pressure forced the company to begin a long process of improving how it manage its supply chain and reveal it to public. To better understand conditions at the site, Apple’s COO Tim Cook and other Apple executive went to Foxconn’s Shenzhen factory after the suicides becoming news released. Apple commended Foxconn for setting up a 24-hour care center, installing large nets on buildings and also set up its own team of suicide prevention experts to work closely with the factory. In 2011, Apple visited 229 suppliers and added a program of training 1.5 million workers. 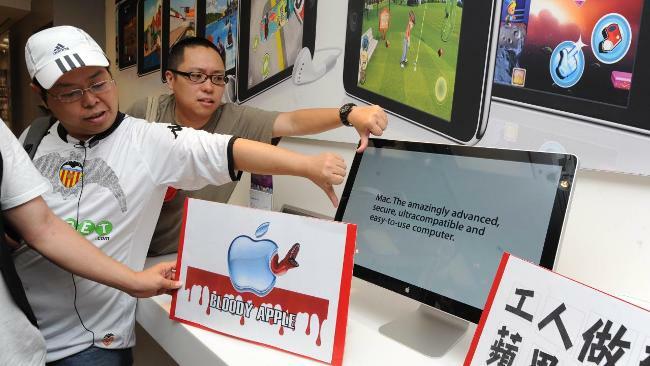 Apple’s auditor discovered in 2012 that a company in China had hired 74 underage workers. The company promptly terminated its contract with this supplier and publicized the case to warn it suppliers. In January 2012, Apple for the first time published a list of all its main suppliers. Apple’s 2014 Responsibility Report says it found 71 facilities underpaying its workers in 2013, and forced them to repay $ 2.1 million in back wages. Apple was blamed in the media frenzy around the suicide issue as “turning a blind eye” to the problem in its supply chain. The pressure multinationals face after tragedies shows that they have to pay a price. “People intend to go to social media to look for ‘truth’. Is there a truth really existing in what we read?” said by Denis Liu. Foxconn employs over 540,000 workers in China. Although tragic, the figure of suicide rate is far below the national average. In my opinion, the ultimate truth is not always important, the importance is that your customers are watching you from everywhere.